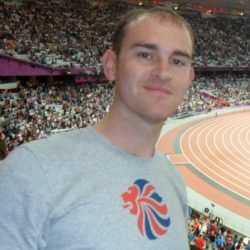 Jon Holmes, home page editor of Sky Sports Digital and SJA member, organised an informal meeting of LGBT sports media professionals on Monday night with the aim of launching a network which would benefit lesbian, gay, bisexual and transgender people in the industry and also be useful to those who are not LGBT. Here is his report from the first meeting. We met to discuss our experiences in the workplace. We also considered the challenges that anyone who is lesbian, gay, bisexual or transgender might face when attempting to break into the industry, as well as offering our views on how the media covers LGBT people in sport. Within sports newsrooms, press packs etc, there are LGBT people – some will be out at work, some won’t. Feeling excluded for any reason in the workplace really brings you down, and language, behaviour and assumptions can cause discomfort. That’s usually heightened if you’re LGBT. At Monday’s meeting, we welcomed Kidd’s comments, but noted that there are also some sports journalists who are gay, but not openly gay (brilliant ones too). This is less obvious but has a big bearing on the office environment, or equivalent, particularly if it is male-dominated like those in sports media. 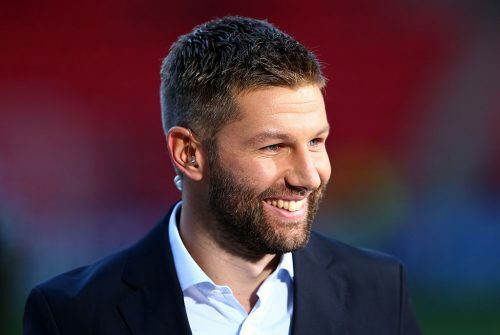 There is a perception among some members of the general public that the media wants to ‘out’ gay footballers – this is damaging to all journalists. As individuals in the industry, we all desire to tell great sports stories that accurately inform and reflect our audiences. Our collective relationships with all LGBT people in sport will likely suffer, and our access will be curbed, if that perception is allowed to grow. The Times sports editor Alex Kay-Jelski (right) wrote last October of the importance of “dispelling a few myths” on this subject, and presented a different picture – that the wider sports media has been proven to be fully supportive of LGBT athletes; that football’s culture makes it more challenging – but not impossible – in which to promote LGBT inclusion in the sport; and that despite what some might say, all this matters. The consensus on Monday was firmly in agreement with Alex. We fear the myth is growing because of the occasional front page or similar splash which sparks another round of speculation, and the propensity to focus too narrowly on football’s traditional culture rather than how it is changing. While a minority continues to persist in anti-LGBT abuse, the vast majority involved with the game in whatever capacity are accepting and welcoming. Naturally, as a group of LGBT sports media types, we think all this matters a great deal – but it’s borne out by the news value too. We noted the worldwide coverage and interest in last week’s story of the first referee in professional men’s football to talk publicly about being a gay man in the sport. A sports media LGBT network would be useful to both lesbian, gay, bisexual and transgender people in the industry, and also those who aren’t LGBT. With the SJA seeking to build upon their diversity commitments, it’s vital to present the contentment and the concerns of members and non-members alike who represent those diversity groups. To achieve this, a collective voice can add weight and demonstrate a desire to improve the situation where required for those in the sports media who are LGBT, regardless of location. Meanwhile, issues relating to sexual orientation and gender identity are becoming increasingly more prevalent in the workplace and in sport. Most LGBT people want to be open and authentic in all aspects of their lives; keeping that part of themselves hidden or secret at all times is difficult to do, and it can be exhausting to try. Employers increasingly recognise how that can impinge on a person’s performance, which is one reason why they seek to have inclusive work environments. Yes, it can sometimes feel awkward to address sexuality or being transgender, particularly in sport with all its traditions and lingering stereotypes, but not doing so sends the wrong message. 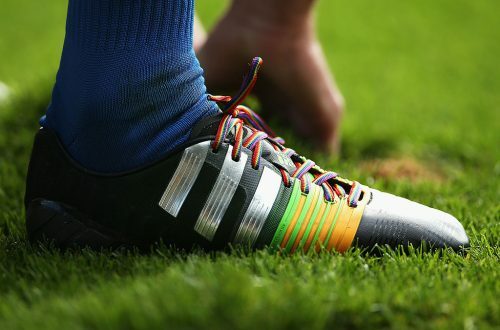 After all, Stonewall’s Rainbow Laces campaign, which encourages LGBT inclusion in sport through visibility, is by no means limited to just the field of play. The charity’s Head of Campaigns Robbie de Santos acknowledged this last month when ITV signed up Philippa York to commentate on the Tour de France: A sensitive, thoughtful media is vital for giving LGBT sports people the confidence to be themselves in public. One way we can help to do that is by fostering an environment in which our own sports media colleagues who are LGBT can be themselves openly, if they want to. In addition, the SJA’s diversity focus is already encountering intersectionality – how might the experiences of a gay white man in our industry be different to those of a black bisexual woman? As sport tries to keep step with society, questions like this are more pertinent than ever, and while an LGBT network could never profess to have all the answers, it would give them due sensitivity and thought, and share the learning. It would also be there for anyone in the industry seeking help – the freelancer trying to find the right terminology, the columnist covering transgender athletes for the first time, the journalist who’s feeling isolated at work, the ally concerned about a potentially strong headline, the ‘out’ editor who wants to bounce some ideas around… none of these are rare scenarios. We all take pride in working in sports media, and we’re loyal to our readers, viewers and customers. Let’s continue to be loyal to each other too, whether LGBT or not – it starts with team spirit.